Pune is a shopper’s delight; and even more so if you are looking for traditional or ethnic styles like sarees and suits. From innovative and unique prints to typical Maharashtrian design elements; from silk and crepe sarees to the comfortable cotton ones, you can find everything you are looking for in the various saree markets and stores in Pune. There are a variety of options you can try. From the organic materials at the various Khadi Bhandar outlets to high end designer boutiques, you can have it all. Suits and Sarees Shopping in Pune. Laxmi Road is one of the biggest shopping localities in all of Pune. Whether you are looking for local food produce, knick knacks for your home, jewellery or clothes, you can find it all at Laxmi Road. Whenever one needs to shop for attire and accessories for a wedding or a function, Laxmi Road is the first place that comes to mind. It houses a huge number of saree and suit stores ranging from well known brands to even simple stand alone stores – each with its own unique and vast variety. You can find parking quite easily at the community parking lot and then walk around in the by lanes to be met with store after store selling you traditionally Maharashtrian styles. 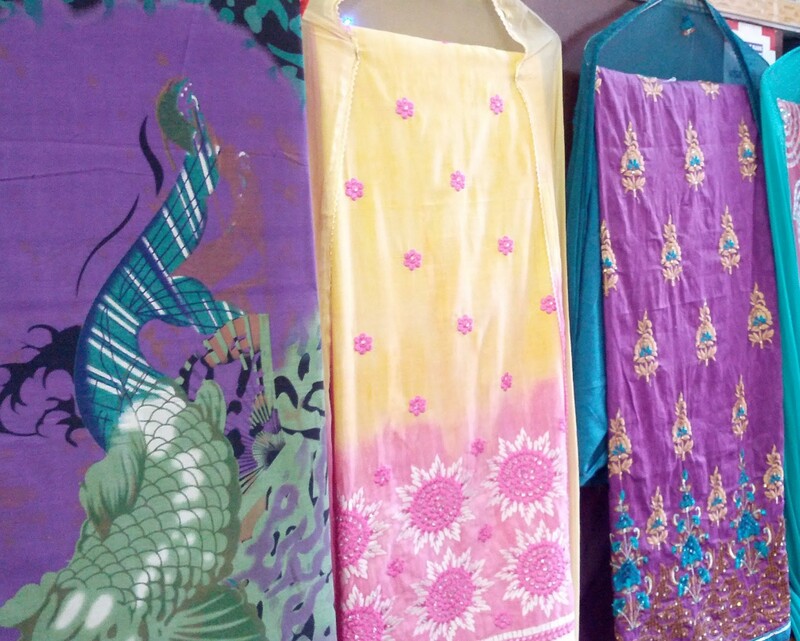 If you are looking for high fashion or designer sarees, you need to pay a visit to the boutiques in Koregaon Park. Home to a more cosmopolitan crowd, the stores in Koregaon Park have also adapted their styles to suit these needs. You will find many modern, new age styles of sarees inspired by contemporary trends and designers. But be warned, they will be slightly heavier on the pocket as well. MG road is a great area for all kinds of shopping. Not too traditional, it offers the perfect mix of conventional and contemporary styles. There are many suit stores here that offer customised, tailored or even readymade suits. Saree and salwar suit shops are aplenty and you can choose from many designer as well as simple elegant styles. You can even find many footwear and jewellery stores around the area in case you want to finish all the shopping in one place itself.